Downspout extensions form your first line of defense against basement flooding. By channeling roof runoff away from the house, these drainage devices reduce hydrostatic pressure against the foundation. Downspout extensions are also effective in preventing the erosion of soil, mulch and ground covers from around your house. 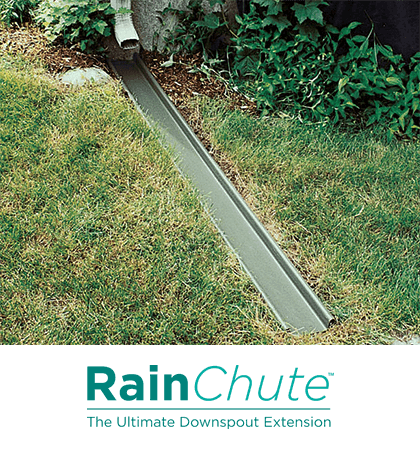 RainChute® recessed downspout extension is installed so that drain edges are flush with the ground. 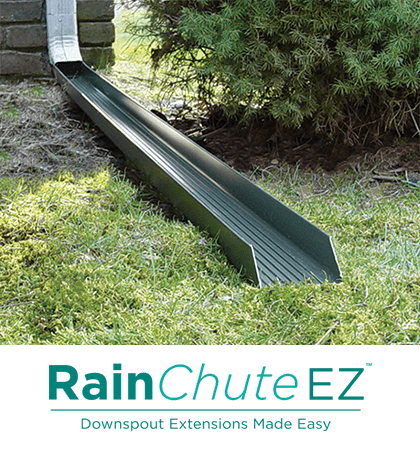 RainChute EZ® above-ground downspout extension rests directly on the ground for quick and easy installation. 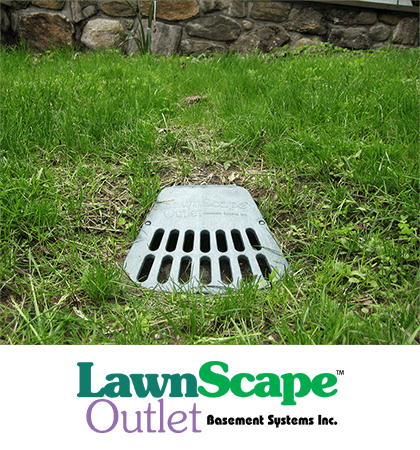 LawnScape™ Outlet connects your downspout to a special LawnScape Outlet sending water away from foundation while camouflaging the end of pipe. Protect your basement, your lawn and your landscaping with quality downspout extensions from Basement Systems. Call us or contact us online to find a local dealer in your area. When it comes to keep water away from your foundation, you can count on the experts at Basement Systems for effective basement waterproofing solutions.